If you are looking for a nutritious and delicious energy booster to start your day, have a cup of Ultimate Moringa Tea! The leaves of the Moringa Oleifera tree, known in many cultures around the world for its rich nutrients and highly valued for its excellent health promoting benefits, make for an excellent morning tea. Packed with 90 different types of nutrients, 46 antioxidants, 36 anti-inflammatories and 9 essential amino acids, there is no other natural drink that is more powerful. Loaded with vitamins and minerals, Moringa tea will help you clear your mind and boost your energy levels without even one crystal of caffeine in your beverage. Drinks with caffeine are very popular because caffeine acts as a stimulant to the central nervous system. According to the national Coffee Association, about 63% of Americans consume coffee every day, and in other studies, it has been estimated that 90% of Americans consume caffeine in the form of various soft drinks and energy drinks on any given day. Some of the positive effects associated with caffeine are mental alertness, increased metabolic rate and decreased fatigue. However, caffeine is considered a drug and this drug is also associated with negative side effects including high blood pressure, insomnia, addiction and dehydration. Increased Mental Alertness And Energy With NO Caffeine And No Crash. Moringa tea, on the other hand, provides a refreshing and nutritious energy boost that comes without one single side effect. Quite the opposite, it might be one of the healthiest drinks you can take to support and maintain a healthy lifestyle. This tea has all the nutrients and vitamins that will help you stay active throughout the entire day, and it does so without the aid of sugar or caffeine. 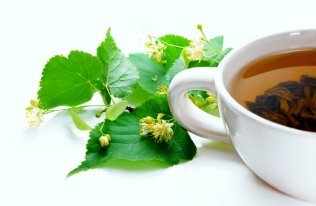 Packed with antioxidants, this miracle tea also strengthens the immune system and helps detoxify your body. After you have experienced its positive effects and increased vitality, you may forget about coffee and caffeine altogether. At Green Virgin Products, we have also figured out an easier way to provide you with your daily cup of health. We have packaged our premium 100% Wild Crafted Moringa Oleifera Leaf Powder in convenient tea bags. Full of vitamins, minerals and antioxidants and without any fillers, our Moringa powder comes in portion sized tea bags, ready to use. To ensure that none of the benefits are lost before you drink it, all 30 bags come in a hermetically sealed, oxygen-free, 100% light-blocking resealable pouch to prevent damaging oxidation. And if you want to kick it up a notch, give our Loose Leaf Tea a try. This gourmet tea is not made from powder, but from especially, selected whole, fresh, young and tender Moringa leaves. The tea has an enjoyable taste and adding a bit of honey turns it into a real delicious, healthy treat. One pouch contains 100% pure Moringa Oleifera leaf tea with no added flavorings and makes about 100 cups of the finest and healthiest moringa tea. Because the loose leaves have only gone through our exclusive far-infrared drying process, this tea provides you with extremely high nutritional value. This is such a wonderful alternative to ordinary tea, the health benefits alone are enough to make the switch. Ensure not to heat your water above 140 degrees Fahrenheit, as those temperatures will destroy some of Moringa’s nutritional potency. But we want to share yet another secret with you. Have you ever thought about taking a Moringa bath? A hot Moringa tea bath is like taking a bath in a giant cup of tea. Moringa is well known for its anti-inflammatory and antiseptic properties and supports the speedy healing of small cuts, burns and other injuries to the skin. It has been shown to clear up many skin conditions, and it provides the kind of nutrients that help make your skin and hair look better, giving them a natural and healthy glow. Moringa is very high in Zeatin. Zeatin is very good for your skin and is linked to anti-aging. Moringa has over 1000 times more Zeatin than any other plant. 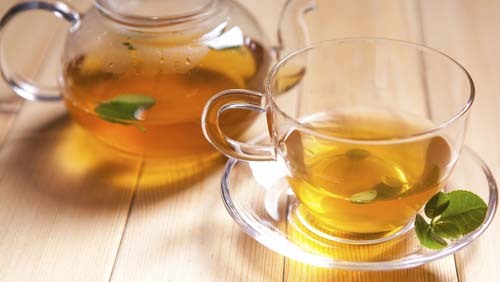 About 5 tablespoons of the tea is sufficient for a relaxing, enjoyable, not to mention beneficial, bath. Put the leaves into our Green Virgin Products wash bag or an old sock and tie it shut, fill your tub partially with hot water. Then put the tea in and let it steep for about 4 to 5 minutes and then add cooler water until you reach a comfortable temperature. Soak in the tea bath for about a half hour and ensure that the bath water reaches every part of your body including your head, hair and especially your face. The results will be remarkable. Repeat as often as you like for continued incredible results. Your skin will look and feel better and give off that youthful glow. A Moringa tea bath works great for both men and woman. Certainly worth a try – you won’t be disappointed.